A bicycle accident proved fatal for a 64-year-old rider struck by a 92-year-old driver. The elderly motorist insisted he didn’t see the yellow-t-shirt-clad rider, who was the last in a group of riders traveling from the Daviess County Airport to the Glendale Fish and Wildlife Area. The elderly driver was operating a sport utility vehicle. Police responded to a report of a bicyclist who wasn’t breathing. He was rushed to a local hospital, where he died of massive internal injuries. Vicarious liability claims against a vehicle owner or the driver’s employer (if applicable). In this case, the cyclist was a U.S. Air Force veteran, married for 35 years and an electronics technician, who, according to his obituary, enjoyed not just cycling and mountain biking but also climbing, yoga., and hiking, as well as spending time with his five children, 12 grandchildren, and 10 great-grandchildren. WTHITV10.com reports the driver rear-ended the victim. Although there is no indication the driver was trying to hit the victim, it’s become a familiar story on Indiana roads. Drivers who are distracted or impatient or don’t believe cyclists should be allowed to share the road cause collisions that cost cyclists their lives. The most recent report from the National Highway Traffic Safety Administration (NHTSA) indicates 726 people were killed and 50,000 were injured in bicycle accidents involving motor vehicles in 2014 (the most recent year for which numbers are available). In Indiana, 12 cyclists died that year, which was 1.6 percent of the total number of traffic deaths, only slightly lower than the national average of 2.6 percent. The Daily Journal recently detailed the growing perils bicyclists in Indiana face. Cycling is quickly gaining in popularity, but motorists haven’t yet caught on. A recent video recorded on a bicyclist’s GoPro camera in Johnson County (Central Indiana) showed how during one morning bike ride, a motorist didn’t wait for a safe opening to pass a cyclist on a two-lane road. The driver passed and then had to quickly jerk back into the cyclist’s lane to avoid causing a head-on collision. That forced the cyclist off the road. Cyclists report that while not all motorists are careless or disrespectful, it seems every week – and sometimes every ride – they are forced off the road, yelled at, have drinks or bottles thrown at them, or are treated as if they simply don’t exist. That cyclist who recorded the GoPro video explains he started riding 12 years ago, following a heart attack. Within two years, he was struck by a truck driver talking on his phone. Then, five years ago, he was struck by another driver. He sustained minor injuries in both collisions. Then, in Greenwood, he was hit again in August by a hit-and-run driver. He says he won’t be riding again on the street. Of the handful of Indiana bicycle accidents in recent weeks, more than half involved drivers who fled the scene. Our Gary car accident attorneys recognize there may still be legal options when cyclists are struck by hit-and-run drivers, drivers without insurance, or drivers without adequate insurance to cover severe injuries. One of the first avenues to explore is uninsured/ underinsured motorist (UM/UIM) coverage. This auto insurance coverage provides protection to cyclists struck by vehicles or run off the road, even though the cyclist wasn’t driving a motor vehicle. In cases in which the driver is identified and insured, a claim against that driver should be the first consideration. In the event the driver in question was intoxicated, we might want to explore a dram shop action to hold liable the person or establishment who furnished the driver with the alcohol, per Indiana Code section 7.15-5-10-15.5. 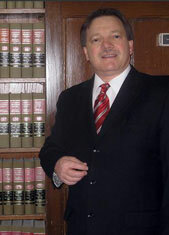 Indiana Injury Attorney Burton A. Padove handles injury claims, including bicycle accidents, throughout northern Indiana, including Gary and Hammond. Call Toll Free 877-446-5294.